We’re Hiring! With chaos comes order & with a new studio, new staff, lots of new clients and lots and lots of lovely new creative projects we felt the time was about right to find somebody who can stamp a little order on proceedings. 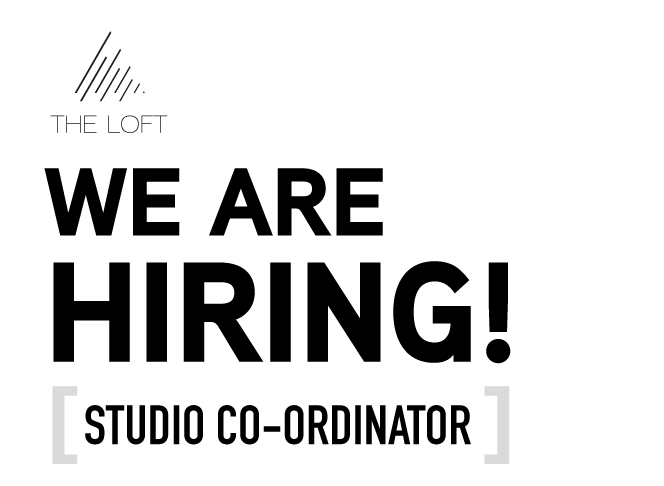 We’re looking for a ‘Studio Co-Ordinator.’ A person who is brilliant with people, is a great communicator & has a flair for organisation. They’ll understand the need for creative chaos in helping us to deliver the best solutions & will play a fundamental part in the growth of our company. Please visit https://theloft.co/studio-co-ordinator/ for more details.